Sarah Nakajima was originally featured as an athlete on Natural Muscle Hawaii in September of 2006. As with many of the profiles, it is a little out dated. However, at that time she had just took 3rd place at the 2006 USA Figure & Bodybuilding Championship! Check out her Profile & Photos. Russ Yeager’s profile and photos was originally posted on Natural Muscle Hawaii in August of 2004. So like many of the other athletes profiles, the profiles are outdated. However, at that time Russ had already won the 18-30 Year Old Class of the 2002 AST World Championships. He was also the owner and operator of Russyeager.com, which still appears to be active, and up and running. Check out his profile. Check out @FLEX_Magazine’s Tweet: https://twitter.com/FLEX_Magazine/status/568575876276752384?s=09 . Great Video by Flex Magainze. Posing Like a Pro Episode 1 with Lee Labrada. This is one of my all time favorite bodybuilders, and one of the greatest posers to watch. For those who may not know. I (Roland Ho Jr.) founded Natural Muscle Hawaii back in 2003. So it should be no surprise that I was the first featured athlete. Back then, it was not as easy as it is today to establish a web presence. At least for most people. It wasn’t long, before other competitors started asking me if I could help them make a webpage/website. So what started out to promote myself, turned into a website to help promote other Natural Competitors as well. So if you find a lot of photo galleries on my profile, don’t be surprised. Rocco was initially featured on Natural Muscle Hawaii back in 2004. At the time he was President & Founder of Harder Athletics – Sports Performance Systems, 1st Degree Black Belt in Parker’s Kenpo Karate &2002 Special Olympics Powerlifting Coach. He had already aquired a list of titles from bodybuilding to Triathlons. He is a very well rounded athlete. Check out his profile. Robin Nee was originally a Featured Athlete on Natural Muscle Hawaii back in 2006, and has a pretty extensive Bodybuilding & Power lifting resume. This is what she had to say back then, “Does your behavior match your goal? Always do the best you can and you will always be the winner no matter what place you come in.” Check out her profile. Walking? Really? Don’t you have to do some sort of high-intensity workout that leaves you feeling beat up for days to lose fat? Well actually, no. I could try to convince you that walking is the quickest way of burning fat, but that would be a very long post. And I think getting out and doing it would serve you more than sitting here and readying about it.For anyone who is out of shape, suffers from an injury or some other form of physical limitation, or simply wants to preserve muscle mass while burning fat, walking is an excellent form of exercise. No, it won’t help you prepare to run a marathon, but walking can build a base level of fitness that will enable you to move onto more strenuous forms of exercise down the line. Best of all, almost anyone can do it. It doesn’t matter where you are, or how old or young you are, you can simply head outside and start walking. And like any form of exercise, walking burns calories and therefore fat. Here are three simple walking workouts you can do anywhere. I like to head outside and enjoy the fresh air, but if it’s a particularly miserable day you can do them on the treadmill, too. 1. A Nice, Long Walk According to the Mayo Clinic, running is thought to burn around 800 calories an hour, while walking only burns around 350. That’s a big difference, but the fact isyou can walk for a lot longer than you can run (unless you’re extremely fit). So while running for an hour might burn a lot of calories in a short amount of time, going on a 3 hour hike would actually burn more calories (and therefore fat) overall. And you have the added benefit of reduced chance of injury. Burning fat really is that simple. Next time you’re not in the mood for a strenuous workout, put on some comfortable shoes, head out into the world, take comfort in the knowledge that you’re getting fitter, healthier, and leaner. Walk at a comfortable pace for 5 to 10 minutes. When this becomes too easy, add difficulty by reducing the periods of walking at a comfortable pace and increasing the time spent walking quickly (up to 5 minutes). You can also add in hills or increase the overall time of the workout. This slow-fast-slow walking method will help prepare you to move onto more strenuous forms of exercise, such as running. 3. Bodyweight & Walking Intervals Turn your walk into a total-body workout by including bodyweight exercises at intervals. Walk at a comfortable pace for 5-10 minutes. Walk at a moderate (slightly quicker than comfortable) pace for 5 minutes. Perform a bodyweight exercise for 10 reps. Walk at a moderate pace for 5 minutes. Repeat until you have performed a total of 5 bodyweight exercises. Ready? Set? Walk! 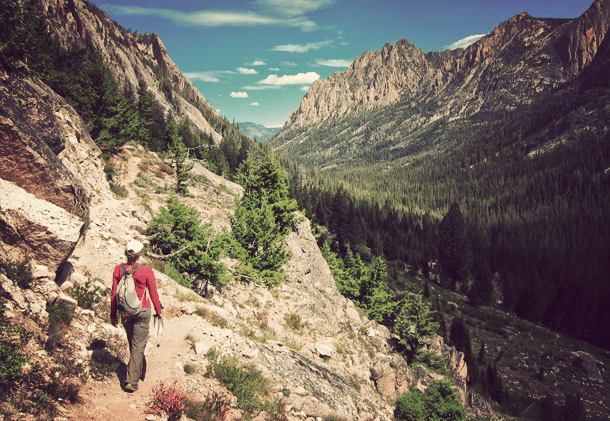 Tell us which of these three walking workouts you’ll be trying today! The History of HIT (High Intensity Training) by: Roland Ho Jr.
It’s amazing to me how many so called HIT (High Intensity Training) programs are our there these days. Everyone claiming to have developed a NEW HIT training program. Everything from Cross Fit, Boot Camps, Training with weights, & with your body weight only. The list could go on and on, and be pretty endless. However, the intention of this article is not to bash the various HIT training programs that exist today, but to clarify some of the confusion that may exist today. First of all HIT is nothing new. HIT has been around since the 70’s, 80’s, 90’s, through the 2,000’s, and continues to evolve today. 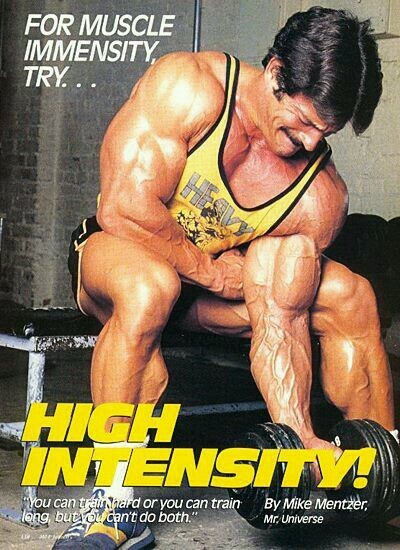 Of all the name’s in the bodybuilding, health and fitness world, the one name that always sticks out to me when I think HIT is Mike Mentzer. He has probably wrote more, spoke more, and practiced the principles more than anyone in the industry. He not only used HIT principles in his own training to win the Mr. Universe title, with the only perfect score of 300 in history. He also practiced the principles with the 1,000’s of personal training client’s, with great results. Perhaps the most recognized name of his client’s being the former Mr. Olympia Dorian Yates. In fact if you have ever ventured to watch training videos by Dorian Yates, you will most definitely witness True HIT in action. What Dorian has evolved into his Blood & Guts Training. Dorian applied the HIT principles he learned from Mike, and Mike applied the principles he learned from Arthur Jones. For those who don’t know, or are too young to remember, Arthur was the Inventor of The Nautilus Equipment, and very much an advocate of HIT. His legacy continues to live on in many ways. Walk into practically any gym across the country, or around the world, and you will likely come across some piece of Nautilus equipment. 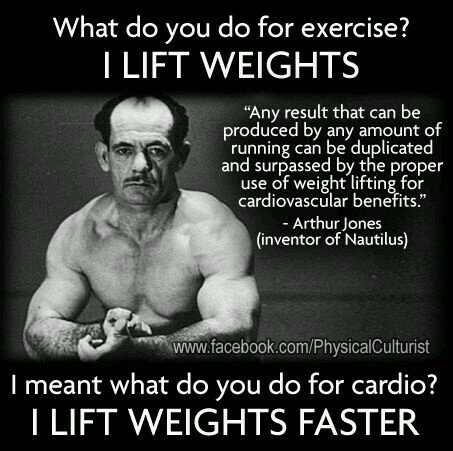 If not Nautilus you might come across some Hammer Strength Machines. To no surprise, guess who the creator of the Hammer Strength machines is? No, not Arthur, but his son Gary Jones. Although, I do recall seeing some plans of these machines in an old magazine that were sketches from Arthur. Not a bad family business, and legacy to pass down. Though Arthur may have left a tremendous legacy in the machines we see in many gyms today. He also left another legacy, that which we call High Intensity Training. He passed that on to Mentzer, who passed it on to Yates, who continues to pass those principles down through generations. There are many other names in the bodybuilding and fitness world who also applied and practice the HIT principles, but those are the three biggest names (Jones, Mentzer, & Yates) that set the standard. You can throw around kettle balls all day long, do a 1,000 squats with your body weight, and try to do as many reps as you possibly can of any given exercise with explosive, lose and sloppy form, and get some results. Lets face it, 100 sloppy reps, will still get better results, than no reps at all. But if you truly want to understand what HIT is, you cannot understand it without studying the principles of Jones, Mentzer, and Yates. Happy HIT! Diabetes by: Roland Ho Jr.
Top 50 Selling Products On Muscle & Strength!